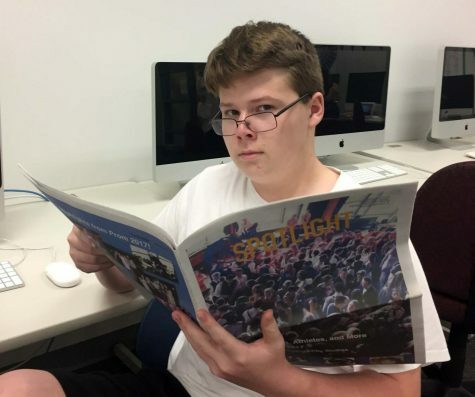 Senior Griffin Schmoyer is a second-year staff reporter and social media editor for the Spotlight. He has attended Southern Lehigh since kindergarten, and his favorite subjects are History and French. He enjoys playing video games like “The Legend of Zelda” and “FIFA,” listening to music, watching anime, and reading and hearing about all kinds of sports news. Griffin wants to someday attend college to study the world of sports journalism.